Really stoked I got the jacks AND DC jack at the back - lifesaver for pedal space - but makes building more complicated. I thought the circuit was covered a blue "goop", making it difficult to copy? 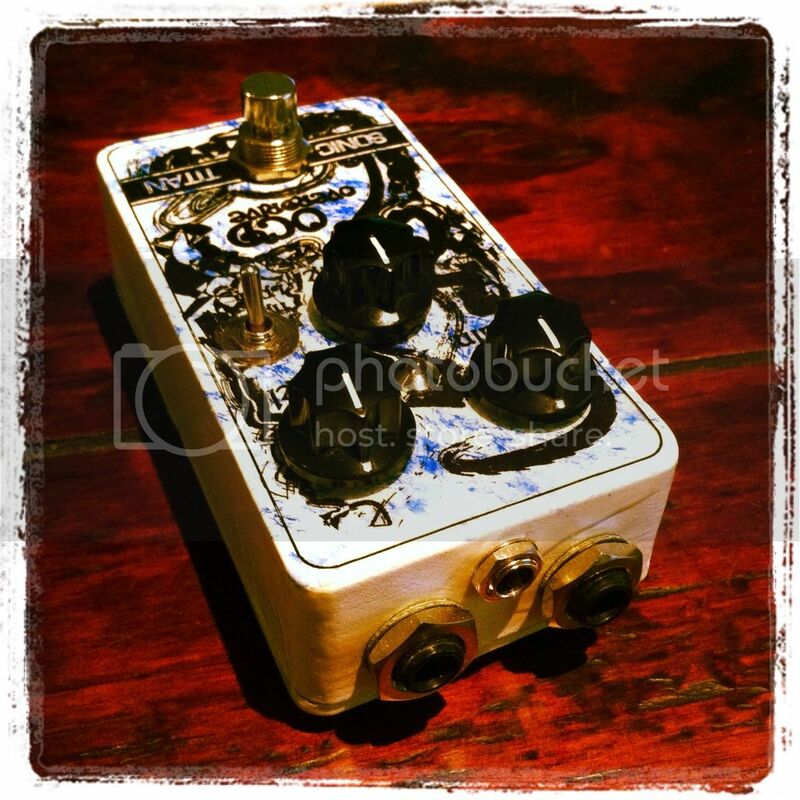 Yep, most pedals by "boutique" builders are gooped. But it's only so long until everything reaches the internet. Turns out it's essentially a copy of the Voodoo Labs overdrive (if I remember correctly) with MOSFET clipping and different versions just to change the Gain control. If you read more into circuits, and "boutique" pedals, it's very incestuous. ie A few basic circuits (Tubescreamer, Big Muff, Fuzz Face etc) with slight value changes. Take for example the Lovepedal Les Luis which is a copy of an Electra Distortion and the Lovepedal Amp Eleven which is a copy of the Timmy. Yep. Its a very strange world with not much actual design going on.. Yes and no, some builders like ZVex do some really innovative stuff. For example. SHO boost circuit although deceivingly simple, was quite original. But yes, always be skeptical when looking at hyped boutique pedals. For example, the Pharoh Fuzz from Black Arts Toneworks is not a "big muff inspired circuit" - it is a direct big muff clone with certain values changed. 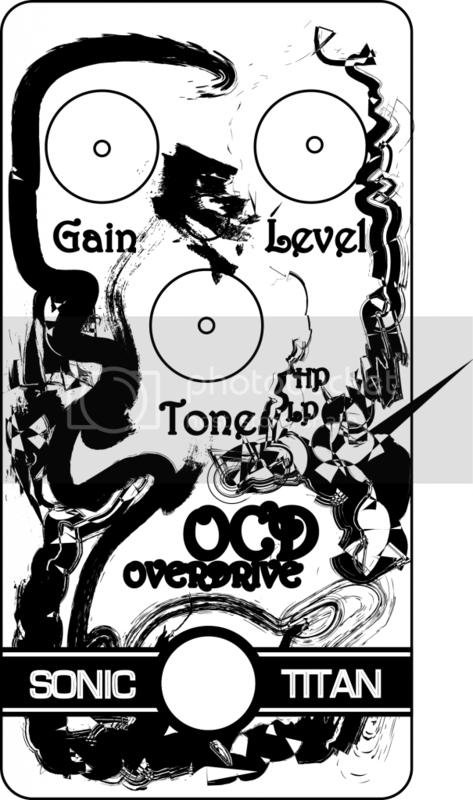 Just out of interest sake, on what version of the OCD's is this copy based on ? V1 , V2 , v3 or 4 ? Also , what are your thoughts regarding the pedal ? does it give you a slight increase of bass ? i'm not sure if i agree completely re zvex. he's done his fair share of circuit design by adaptation. sure he is more innovative than the next guy and he finds valid and useful contributions to build on to circuits. but an amplifier is an amplifier is an amplifier hey. the SHO is original only for the fact that its a guitar pedal. its quite a conventional amplifier otherwise. come to think if it.. there is little that hasn't been done. guitar electronics have been through their growth phase between the 40's and 90's. for the moment only thing to do is to hone tone, and to come up with variations on the theme and mixtures. its pretty much the same as in the music industry i guess. It's based on the Ver 4. But as far as I know, the only real difference between the versions is the sensitivity of the Gain control. To be honest, haven't had a proper listen to the ins and outs of the bass and treble. It doesnt have a perfectly flat EQ, like most overdrive pedals it does boost the mids. Yep, ZVex definitely has done various circuit adaptions. 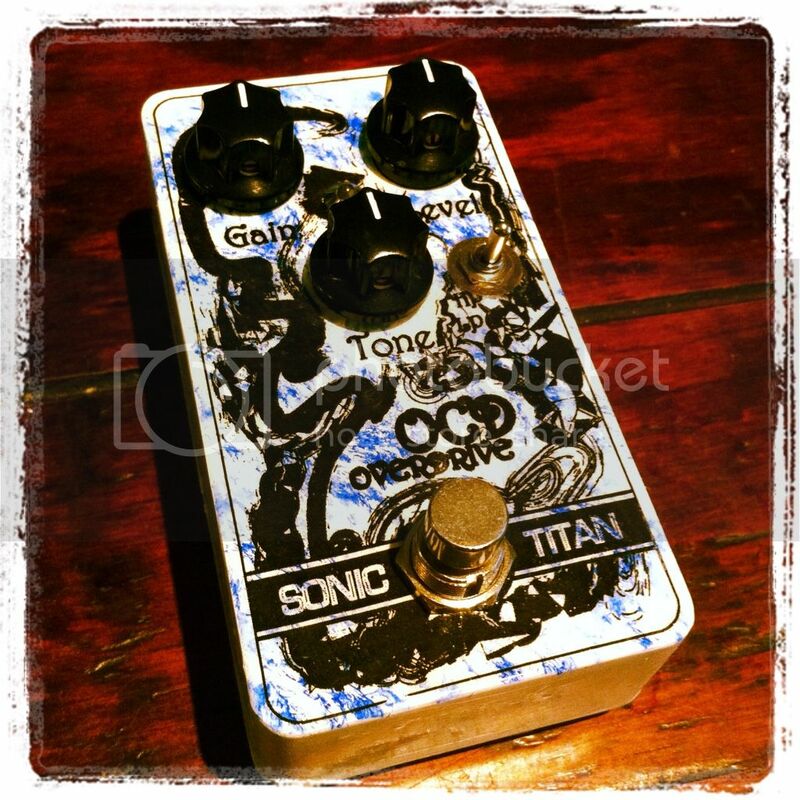 For example, the Distortron/Box of Rock is copy of Brown Sound pedals (JFET based distortion). And yes, an amplier is an amplier. But then for example the ZVex Machine (uses crossover distortion) is quite original. The theory of crossover distortion obviously existed way before his time, but he implemented it in pedal form. Suppose the next step in pedal evolution is gonna be in DSP - Strymon's having great success. Mattocaster wrote: And yes, an amplier is an amplier. A real Zen saying... But what is an "amplier"? There are few real innovators out there, and the main reason is the conservative approach of most players. They would rather have a variation on the same old TS than an octafuzz or a time synched modulation effect. Even when players adopt some of the effects with more unique approaches, very few will stray further than a couple of presets. Yep, DSP is not new, but meant to imply its the next step for the amateur builder. Ie an overdrive is completely analogue - uses op amps or transistors to amplify the signal. A digital delay will create a copy of analogue signal in digital format then blend it back in with the original analogue signal. So the delay part is digital, the clean part stays analogue - if that makes sense. As you said, guitarists are conservative and any digital conversion may lose tone/mojo. But with DAC's (digital to audio converters) becoming more sophisticated, it's be interesting to see if perceptions change. For example there's that "Source Programmable EQ" pedal, which is all digital, but uses high quality digital conversion. i've done a lot of messing around on the net re DAC's and ADC's, and it seems to me that for the amateur with hobby programming experience - its near to impossible to achieve. i mean sure - you can always go get something that's preprogrammed and it will be alright, but it won't suit your needs exactly. a large part of the amateur/hobby occupation is to make something that is better (to you) than manufacturing processes allow for. i think that there is just too much hype and sentimentality surrounding the analogue concept (especially at the top and in the middle) to step around and move away from it. also, there seems to be a nostalgic surge taking place at the moment where quite a lot of people are doing a lot of industrial reflection and organic thinking driven by their malcontent with the present state of things. i mean i don't know how many people can say that they prefer an absolutely perfect, clean, polished and sanitary recording to something done in someone's garage in the 60's/70's/80's/90's; the squeaky clean lacks a human element of imperfection, making it difficult to relate to. and then you start looking for other things about the artist that you can relate to - the rest of the package. it just seems as though the analogue option is altogether the more attractive one from an authenticity point of view for an entity that's not bent on making filthy amounts of money. i think that an interesting direction that pedals could take is miniaturization. for example - take your spring reverb pans, tape delays, tremolos (and this is cool: http://www.danformosa.com/dearmond.html) etc and morph them into a products that have similar outcomes, but in a convenient physical package. its far from impossible i think, and there are always ways of cost reduction. granted, you'll never get close to the unit costs concerned with the digital alternative - but you have the human fixation with a beautiful mechanical system factor at your side, and the comfort that what you're doing is not going to be irrelevant in a sensory context. I find the biggest variations between boutique pedals and the modern equivalents of those on which they are based is to do with sourcing semiconductors. A Fulltone drive pedal may have a very similar circuit to say a Voodoo labs unit, but the big difference will be that Fulltone will source old transistors, perhaps germanium as seems to be a favourite, that are no longer used in other technologies and in some cases, no longer even manufactured. To me it seems this, the addition of a true bypass switching mechanism, and sometimes some variation in cap values and the like for a slightly different response, is the difference between a boutique "custom" pedal and the boss alternative. Whether this justifies the price increase is, I guess, subjective. I completely agree - you hit the nail on the head. That's why there are so many analog builders but few amateur digital ones - you can copy and improve on an analog circuit, but not a digital one. For example, Fulltone was one of the first company's to spark the generation of "Boutique" builders. They started with the Fulldrive, which is just an Ibanez Tubescreamer modified by an amateur builder. Even Keeley and the famed "Keeley Compressor" is a direct ripoff of the Ross Compressor. He even says it himself, all he's done is use "high quality components". Messing with DAC etc is not for the faint of heart, but it is possible. This guy is my idol in terms of pedals - also a hobbyist but doing innovative stuff. What is also cool is using digital components but keep the audio analog. ie a tap tempo tremolo uses a digital circuit to control essentially a volume pot - thus creating the tremolo effect. The audio stays pure but you can get interesting waveforms and sounds. I did exactly the same thing with my "Rhododendron" tap tempo chorus/vibrato pedal, except the digital circuit wiggles the voltage on a PT2399 chip to create the chorus effect, rather than actually converting the audio to digital. Mattocaster wrote: But with DAC's (digital to audio converters) becoming more sophisticated, it's be interesting to see if perceptions change. Tech goes marching on and perceptions are changing as the new generations come up with digital being at the heart of everything they do. And it has nothing to do with quality or sophistication - quite the opposite, it has more to do with price, ease and availability (which is why most people are listening to 128K mp3s and not 96KHz wavs). I've watched digital devices for guitarists go from being something you wouldn't even consider using to being the bulk of the monthly "must-haves". Sure, it's been a relatively slow process in music, but the kids now started on low-end digital modelling amps and multi-effects, and they won't have the resistance to change of the old guard. With those that need the programmability, probably. But at some point, most players will look at their boards, realise that they are 90% digital already and wonder why they don't just go with a quality digital MFX unit, where everything working together as one outweighs any slight losses in tone (and the losses are getting smaller every year). The multiple A/D-D/A conversions of individual digital pedals is going to become a problem too... I predict more and more with standardised digital in and outputs (and hopefully a new switching/control/power standard using the same connection). Imagine - modular digital pedalboards fronted by a dedicated high quality A/D pedal with all the flexibility/customisability of analogue boards and all the control advantages of digital. Programmable pedals that can be a comp at your country gig or a distortion for your metal one (we're already starting to see this kind of thing pop up). Exciting times (but then again, it's always exciting times for me ). We are finally at the point where the digital emulations of analogue favourites are all but indistinguishable in sound and feel as the originals, resistance against it is breaking down (and futile) and hopefully this will shepherd in a new wave of real innovation for the first time since the '60s. Anyone know this comedy sketch? that's a reaaaally cool blog. thanked for the link. have got some little tap tempo lfo pics from this guy in the uk that i'm about to start messing around with. also have some ideas about 'beat-sensing' to provide the logic signal which i'm quite intrigued by. but yea, using digital and keeping the signal analogue is the way - but its still limited in terms of what you can do wrt things like reverb/delay etc. re the changing of the guard, no matter how close digital comes to tonal nirvana, there will still be a division between those that like the analogue comfort, and those that go for the digital convenience. however, i think it gets to a point where if you lean to the digital side - you may as well route your signal through your laptop as opposed to buying a really good MFX (which are hellishly expensive) or a mediocre run of the mill one (which are relatively mediocre). if you're after the best sound - you'll most likely get significantly better results for less dosh. digital emulations will succeed in getting the sound and audial dynamics right. not the feel. as i see it, the feel is encompassed by every other sensory and emotional factor surrounding the idea. its like robots/ai; you may be able to design a robot that is indistinguishable from a human in behavior and most other factors, but when it slips and falls, it won't bleed. when you're having a discussion with it, it's opinions won't be real/its own. it doesn't have a brain, just an emulation of the creators'. and about the kids, i see myself as one of those - i started on a cube. i would go as far as to say that i've seen the light. i think there will still always be those that favour the old way - even if its learned and not hereditary. a question: you own a beautiful valve amp, it has a story, its got the sweetest sound and it gives you a good feeling to play it, think about it and look at it. next to it you have a computer/multi-fx, a PA and a speaker cab - the combination of which can produce the exact same sound and audial dynamic. when you walk into your music room and you look at either, which would you prefer to play with? makepeace wrote: a question: you own a beautiful valve amp, it has a story, its got the sweetest sound and it gives you a good feeling to play it, think about it and look at it. next to it you have a computer/multi-fx, a PA and a speaker cab - the combination of which can produce the exact same sound and audial dynamic. when you walk into your music room and you look at either, which would you prefer to play with? but I need a simple tube amp with some soul. Having a true boutique anything, is about buying someones loving work, buying their effort, and having a relationship with the craftsman.